With it’s clear back-light LCD screen and automatic needle threader this is truly an encouraging machine to use. 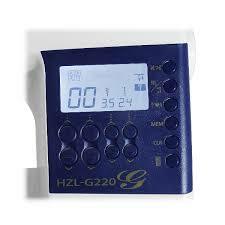 The HZL-G220 has a thread cutter, 1-step buttonhole and a quick-set bobbin plate. 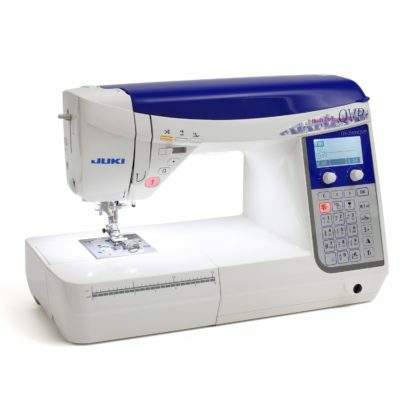 The Juki G Series has made it’s self a great reputation for quality free-hand embroidery stitching. This machine really does encourage you to try new creative projects. 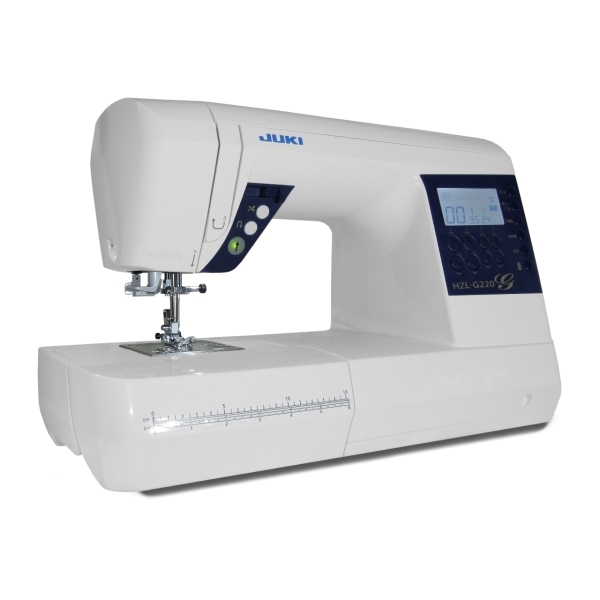 Juki HZL-G220 is the starting point to quality long-arm sewing machines. This machine benefits from having the Industrial Box-Feed system ideal for quilting and stitch are large range of sewing projects. 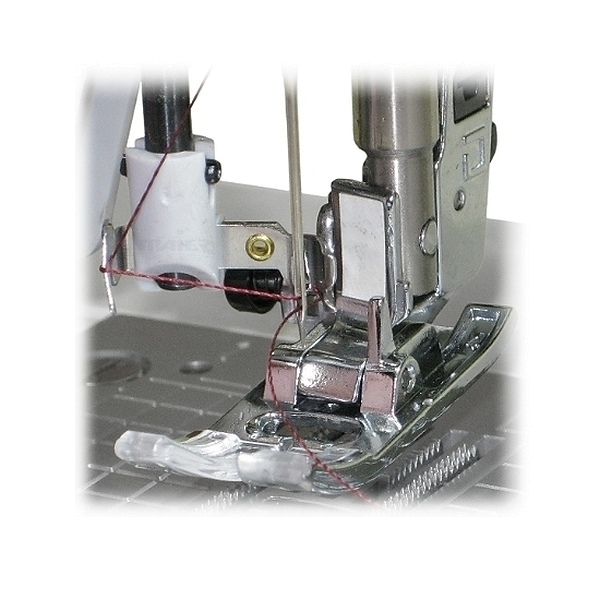 Combined with it’s powerful feed this machine can stitch over thick jean seams. 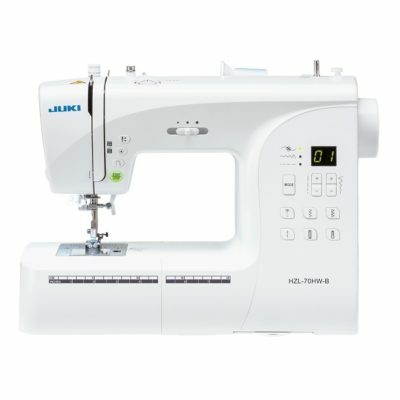 The Juki G Series has made it’s self a great reputation for quality free-hand embroidery stitching. This machine really does encourage you to try new creative projects. 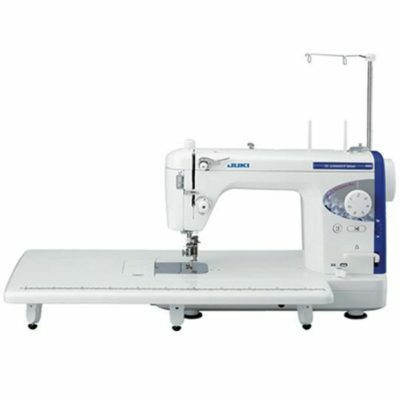 With it’s clear back-light LCD screen and automatic needle threader this is truly an encouraging machine to use. 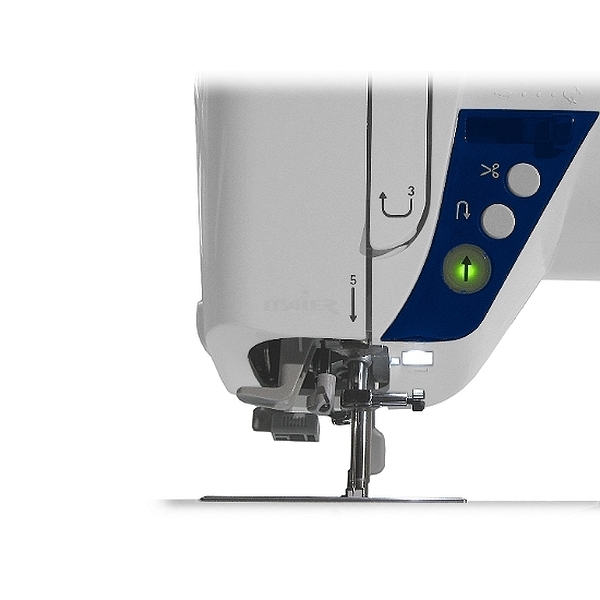 The HZL-G220 has a thread cutter, 1-step buttonhole and a quick-set bobbin plate. Utility stitches plus a great selection of decorative stitches and 1 font. Use the memory stitch combination to create your our decorative patterns.